Hexagon quilts are still quite the rage, as they were when I first started quilting, and as they probably were 40 or 50 years before that. There's something about sewing all those pieces together to get another pattern. For my sister's quilt, I opted to make huge hexies - 10" - so that I could get them sewn together without taking 10 years to do it. I know that my first hexie quilt, a Grandmother's flower garden, took me 17 years to make. Don't want to go there again. 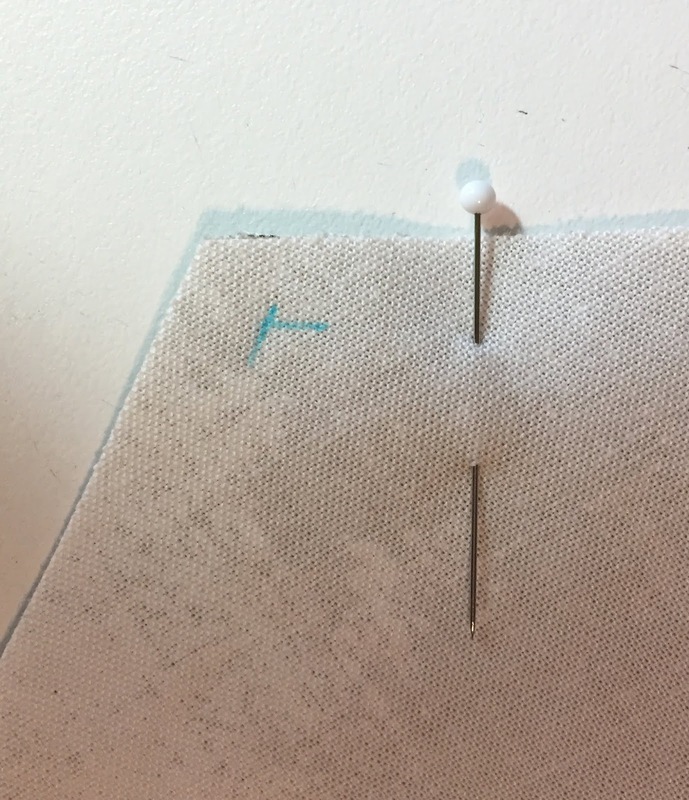 In order to machine sew a hexie quilt together, you have to be able to tackle "Y" seams. 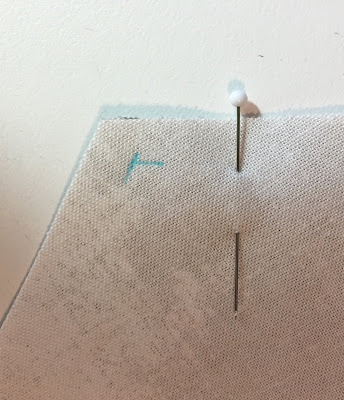 This really aren't hard, but you have to start and stop your seams 1/4" from the edges. (If you use the English paper piecing method, this doesn't apply). 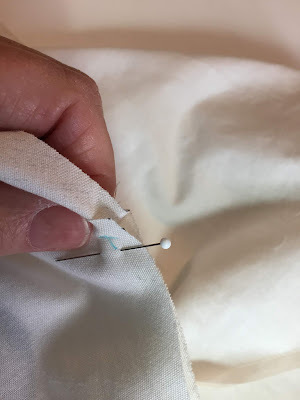 I suggest sewing your blocks into long rows, then tackling sewing the rows together, starting at one end and working your way through to the other end. 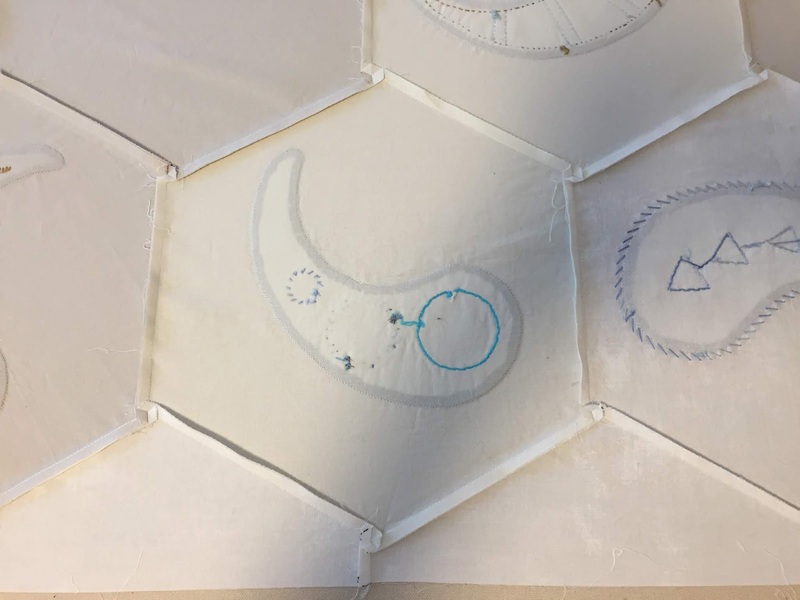 Red Pepper Quilts has an excellent tutorial for Sewing a hexagon quilt by machine. Their diagrams for what I just described are way better than anything I could invent. Here is a picture showing how I marked the start and stop points. I used a water erasable fine blue marker from Adger in Japan. These pens have proved themselves invaluable on several other quilting projects. 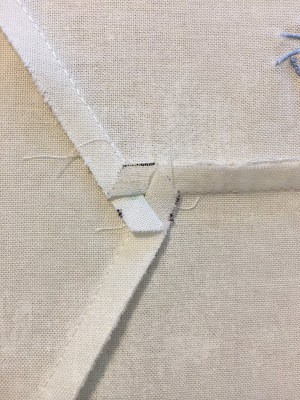 This picture shows that the sewing started and stopped on the markings, and not on the edges. When the rows are sewn together, you just line up the corners and pin the marks together. There is a little bit of fussing to get it lined up so that you don't inadvertently sew into the next piece, but after a couple, you'll have the hang of it. The tutorial from Red Pepper Quilts also has an excellent photo of how to press the seams of a hexagon quilt. Again, way better than anything I could describe or show. Here's my photo attempting to show the pressing. Press all of the horizontal seams in one direction. Press the right verticals up and the left verticals down. This will give you a nice spiral where the seams meet so that you can press these flat, as seen below. I hope you have fun making some of the modern hexagon quilts, whether the blocks are small or large.